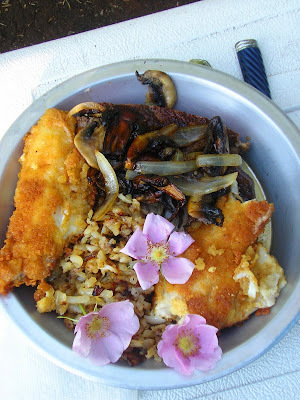 A meal in late June in camp. I chose Sawbill Lake this year for its darkness, thinking that the hex's would be there. They were. Portages are customary on our annual trips but we decided to stay on Sawbill. Hence, the football and chairs got the nod on this one and I'll be damned if I know how my brother in law squeaked that sink drain in between the thwarts.